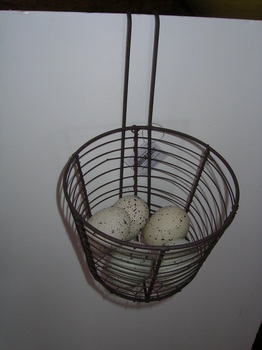 a rustic wire egg basket with specked eggs. this 6 inch x 9 inch basket will hang on the edge of a cabinet. We have included five speckled hens eggs for decoration. Great for your farmhouse décor.